Join this trip of a lifetime in Spring 2019 - get 16 days of adventure trekking across stunning landscapes surrounded by some of the highest mountains in the world - and you only need to take 9 days off work! To get to Everest Base Camp you'll fly to Kathmandu, the capital city of Nepal, then take another plane to the small mountain town of Lukla. When you get to Lukla you'll have a night to prepare before your real adventure begins! We take an early morning flight to Lukla - a scenic flight that only takes around 40 minutes. Lukla itself is a beautiful mountain village. We will have a break for tea or coffee and you'll be able to buy bottled water or trekking gear if you still need anything. You will then trek about 4 hours to Phakding with lunch along the way. After breakfast we start our journey to Namche Bazaar – the Sherpa capital and base for any Everest expedition. You'll cross six suspension bridges over the beautiful Dudhkoshi River. There are plenty of nice small tea shops along the way where you'll stop for some drinks and lunch, and you'll stay overnight in a local teahouse. In the morning you'll start your 5-6 hour trek to Phortse - a beautiful farming village in Khumbu Valley. A relaxed day trek - in the evening you'll stay over in Phortse. We will leave early for this 6 hour hike to Dingboche - our resting place for the next two nights. Dingboche is probably one of the highest villages in Nepal - at this elevation people still do farming - mainly potato, wheat and vegetables. Today you'll stay in Dingboche to acclimatise. There is a choice of optional hikes today - you can cross over Imja Khola river and climb up to the bottom of Ama Dablam, one of the most remarkable peaks in this area (a steep hike but worth it for the beautiful views!). Another option is a hike to Pokalde Peak from where there is another magnificent view of the mountains in the area. Kala Pathar / Trek to Pheriche. You might find this to be the real highlight of the trip! 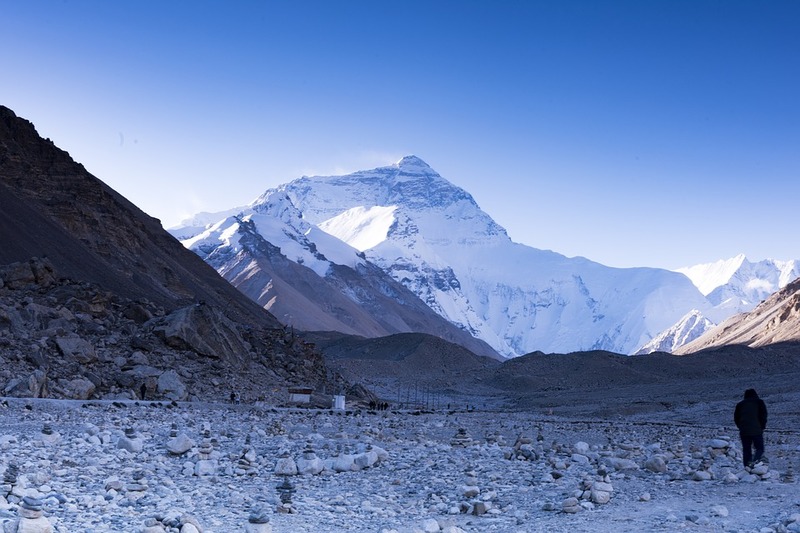 You'll wake up early and climb to Kala Pathar to enjoy a beautiful sunrise view behind Everest. After this you will go back to Gorakshep to enjoy breakfast before descending to Pheriche which lies at an elevation of 4,240 m.
This peaceful trek will take you to the well known and beautiful Tengboche monastery. You will arrive after around 6 hours trekking and stay overnight in a teahouse. You will get the chance to visit the monastery - and if you are lucky you can chat with the monks and the Lama!